ASP.NET Hosting Features – Who is the Winner? In table above, we know that SmarterASP offer unlimited disk space and bandwith. This is the point that might be interested. But, please be aware with this offer. Although they offer unlimited space and bandwith, customers cant upload big size video or .jpeg file, if customers abuse this policy, they might suspend your account. If you see ASPHostPortal, their plan is clearly not to missleading their customers, they clearly give exact quota of their ASP.NET Hosting plan. With Host One plan, customers can get 2 MSSQL database and also 4 MySQL database while MyASP only give 1 MSSQL and MySQL database. Customers can also host unlimited sites on their Host One plan, MyASP can only host 1 ASP.NET site. 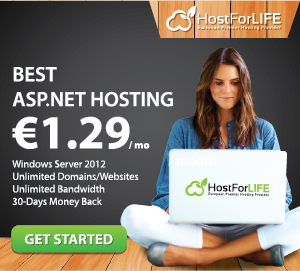 If you see table above, we can find that MyASP pricing is cheaper than ASPHostPortal ASP.NET hosting. MyASP priced at $2.95/mo and ASPHostPortal priced at $3.81/mo. With that said, it’s important to note that both ASPHostPortal and MyASP are highly competitive in terms of their shared ASP.NET hosting pricing. Generally, ASPHostPortal and MyASP are almost the same in terms of plans and pricing. But, it’s important to consider other factors like their hosting features to make a more informed and economical decision. Features that a hosting plan provides determine whether you will get value for your money. If you see the table above, we know that ASPHostPortal features are richer than MyASP.NET. So, as customers, you can think it wisely. This metric is perhaps, the best factor to consider when comparing these web hosts. Actually, it separates the best hosting firm from a bad hosting firm. To compare speed between ASPHostPortal and MyASP, we have done speed test and looked Time to First Byte (TTFB) – a measurement for how quickly a server responds back the first byte of data after it receives a request from a browser. As you can see, ASPHostPortal edges out MyASP when it comes to speed and web performance. But, this doesn’t mean that MyASP is bad. It simply means that MyASP lacks similar snappiness with ASPHostPortal in terms of server response time. Perhaps, this can be attributed to the fact that MyASP provides CloudFlare access to its clients. CloudFlare is a network for delivering content that routes traffic to increase the speed of a website. Definitely, speed and performance are critical factors to consider when choosing a web host. That’s because Google includes a site speed in the criteria that it uses to rank websites. Therefore, in terms of reliability, ASPHostPortal is clearly the winner.Uptime is really important for your business, just imagine if your site go down like roller coaster, what do you think? 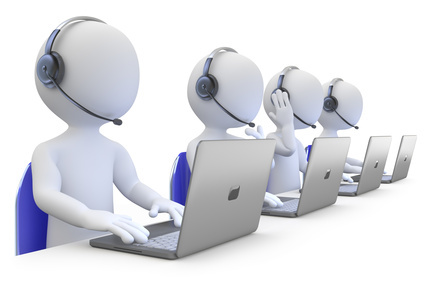 Just like what we mentioned before, ASPHostPortal and MyASP are recognized not only by their great ASP.NET hosting solutions, but also by considerate customer service. The two web hosts guarantee anytime technical support 24 hours a day, which are of efficiency to solve problems encountered by customers. Our most recent ASPHostPortal customer experience revolved around a problem with their ASP.NET version on control panel. The support answered very quickly and was very cordial. The issue was resolved within 10 minutes, and we received quick follow up via email from the rep.
MyASP hosting support has typically been fine, but not quite good. Their support is fast (usually under a minute wait) and cordial, but not super knowledgeable. They seem to view support as a cost center rather than a marketing & retention channel. In my conclusion, ASPHostPortal is more effective than MyASP for technical support. We must admit that they must improve their customer support, but overall we would prefer ASPHostPortal than MyASP hosting. Here, we have to admit that both ASPHostPortal and MyASP Hosting offer the compatible ASP.NET hosting solution. 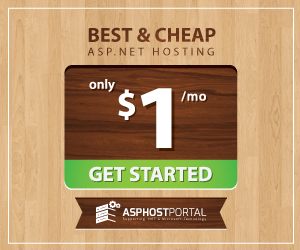 However, if you are looking for the reliable, along with the better support, faster speed and more reliable solution, we think you’d better try ASPHostPortal ASP.NET Hosting.